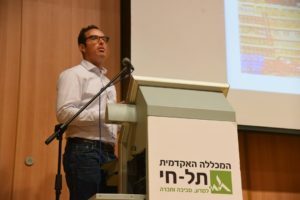 Gil Horsky will speak at the “Health meeting Technology” conference , at the Tel Hai College in the Galilee that is located in Northern part of Israel, on June 12th. Horsky beieves that the Galilee has a few key advantages that position it well to become a global food-tech center: great weather conditions, well-educated and skilled population, and a new state of the art food innovation and research center that will be funded by the Israeli government. Horsky will lecture about global trends in the food industry. After that Horsky will facilitate a panel about innovation in the food industry and the linkage between academia and industry. 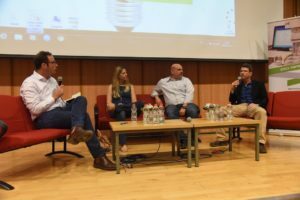 Other participants in the panel will include Amir Zaidman from The Kitchen, Michal Drayman from JVP and Dr. Ofir Benjamin from Tel Hai College. At the end of the conference students from the Tel-Hai College will showcase their final projects and the participating speakers, including Horsky, will feedback on them. To summarize Horsky provided encouragement to the presenting Tel-Hai College students citing that “there has never been a better time to start entrepreneurial ventures in the foodtech industry. Innovative entrepreneurs can leave a significant mark on the industry with low investments. But it is key to deliver effective solutions to real problems that consumers are facing in their day-to-day lives”.